This official website of the "ENVIS Centre” has been developed to provide information to the general public. Though all efforts have been made to ensure the accuracy and currency of the content on this website, the same should not be construed as a statement of law or used for any legal purposes. The web contents are subject to change without any prior notice from International Institute of Health and Hygiene(IIHH) at ENVIS website. In no event will ENVIS be liable for any expense, loss or damage including, without limitation, indirect or consequential loss or damage, or any expense, loss or damage whatsoever arising from use, or loss of use, of data, arising out of or in connection with the use of this website. In case of any variance between what has been stated and that contained in the relevant Act, Rules, Regulations, Policy Statements etc, the latter shall prevail. Links to other websites that have been included on this website are provided for public convenience only. ENVIS is not responsible for the contents or reliability of linked websites and does not necessarily endorse the view expressed within them. We cannot guarantee the availability of such linked pages at all times. Material featured on this website may be reproduced free of charge. However, the material has to be reproduced accurately and not to be used in a derogatory manner or in a misleading context. Wherever the material is being published or issued to others, the source must be prominently acknowledged. However, the permission to reproduce this material shall not extend to any material which is identified as being copyright of a third party. Authorisation to reproduce such material must be obtained from the departments/copyright holders concerned. 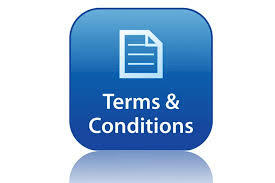 These terms and conditions shall be governed by and construed in accordance with the Indian Laws. Any dispute arising under these terms and conditions shall be subject to the exclusive jurisdiction of the courts of India.